For years, many of us thought of Burlington as a mall town with a few high tech companies sprinkled along Route 128. But these days, the town just 12 miles northwest of Boston, has morphed into a boom town, and our clinic is in the heart of it all. The area is a magnet for growth, development, jobs, healthy lifestyle options and some of the best suburban restaurants around! Opened in November of 2017, our spacious and bright location, with a sleek, industrial feel, has quickly expanded and settled into the neighborhood. 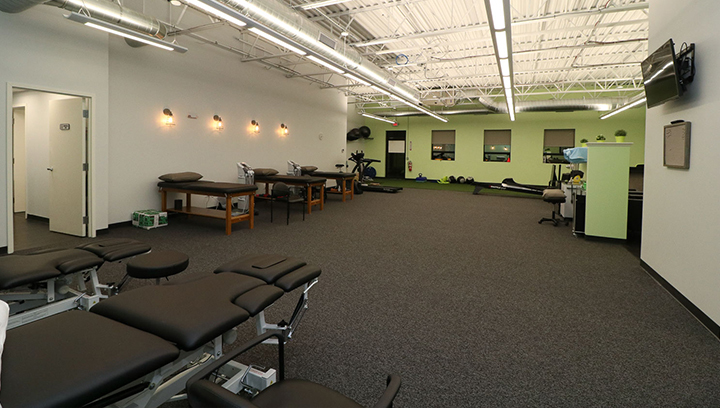 The office’s close-knit team plays host to a wide range of patients, from town residents to local students and athletes, to the area’s professional population, which grows by 6 times during weekday, business hours. To request an appointment, or make changes to an existing appointment, please contact us by email or phone.